Few real estate closings are exactly alike. 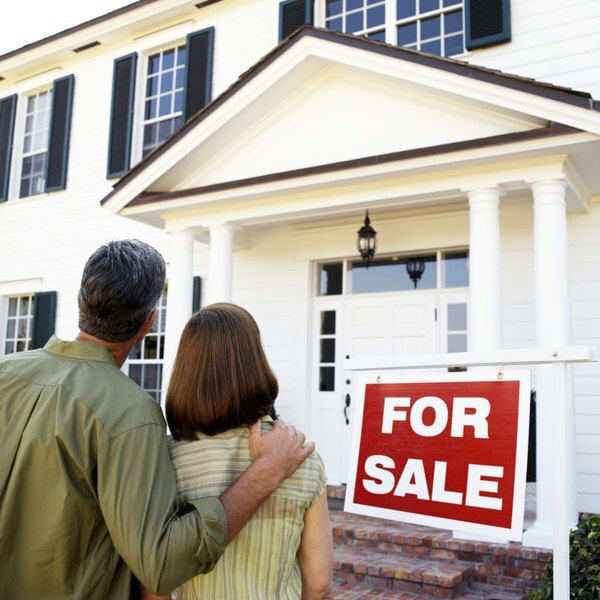 Although some closing costs are standard, others depend on the factors of a particular sale. If you sell your home, how much money you'll get to keep depends entirely on what closing costs you're responsible for, as well as a few other factors unique to your personal situation. The amount of money you get to keep after selling your home is dependent on a multitude of factors. These include how much you still owed on the home, what your selling price was and what the amount the fees and realtor commissions added up to. If you don't own your home free and clear, your mortgage company might take the biggest bite out of your home sale proceeds. You can't sell your home without satisfying your mortgage at the time of closing. You might also have to pay your mortgage company a cancellation fee for satisfying the mortgage early, before its full term. If you have a $300,000 mortgage, including the cancellation fee, and if you sell your home for $400,000, you've got $100,000 left. But you won't get to keep all this money, because you'll probably be responsible for closing costs and other expenses. Real estate agents are in business to make money, so you'll have to pay yours for the time and effort he put into finding a buyer and negotiating the sale. Real estate agents are paid on a commission basis, as much as 6 percent of the sales price of your home. The exact percentage depends on the terms of your listing agreement, and sometimes you can negotiate it downward. Assuming your real estate agent has agreed to a 6 percent commission, he typically receives 3 percent of that, and the buyer's real estate agent also receives 3 percent. If you sell your home for $400,000, you'll pay the realtors $24,000, unless you also negotiate with your buyer to pay some of this cost. If your mortgage was $300,000, you've now got $76,000 left. If your home is not in tiptop condition, you might have to make certain repairs as part of your contract of sale. Most real estate sales involve home inspections, and the inspector might find termites or other problems. You're responsible for fixing these, and these expenses will also come out of your proceeds at closing. If they come to $4,000, you're down to $72,000. Sellers are responsible for some closing costs, and your share will also come out of your proceeds. You may have to pay an attorney, and there are usually taxes and fees involved with transferring title of your home to the buyer. If you owe any real estate taxes due up until the date of closing, these will come out of your proceeds as well. You'll probably have to pay for a title search to ensure that there are no hidden liens against your property and that you're free to transfer title. If these fees add up to $2,000, you'll have $70,000 left after paying off your mortgage, satisfying the real estate agents, and making repairs. Your personal situation will also affect how much money you'll get to keep at closing. If any liens exist against your property, you must pay them off before you can transfer title to your buyer. Liens can arise from a past due child support obligation, a civil judgment or a creditor judgment. In a best case scenario, you won't have any liens. However, if you do, and depending on their size, they could conceivably deplete anything you have left after payment of commissions, repairs, closing costs and your mortgage. If they're more than the money you have left from the sale, you'll have to come out of your pocket to satisfy them before you can sell your home. Redfin: What Can I Make from Selling My Home? Bankrate: How Much Does it Cost to Sell a House?